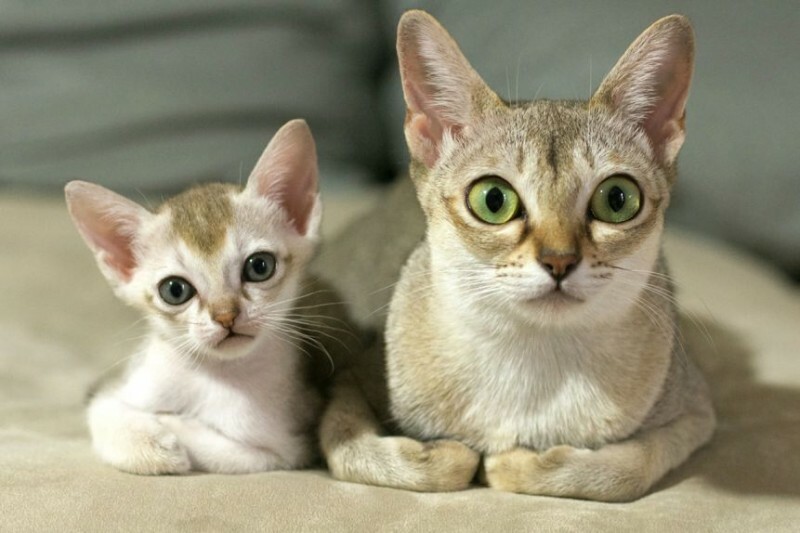 Meet the Singapura cat, the smallest cat breed you'll find. These cuties love to play and snuggle, and they'll definitely keep you on your toes. 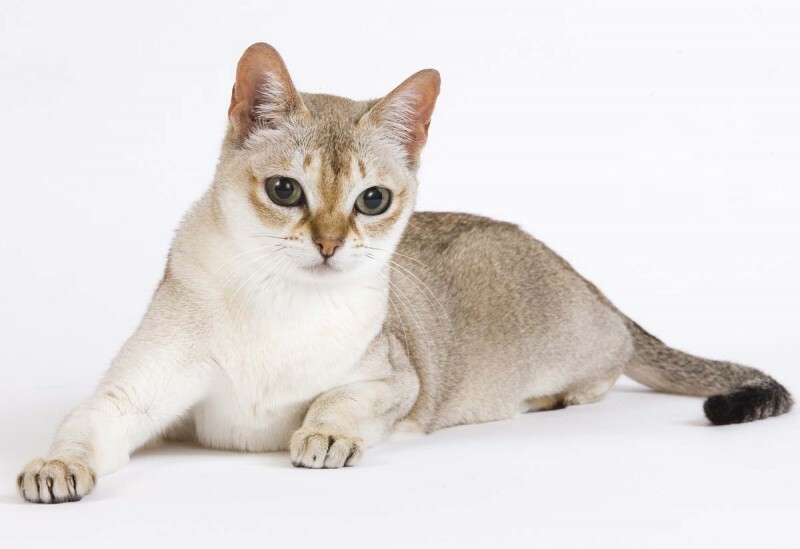 If you're looking for an active cat that gets along with other cats, dogs, and even children, then the Singapura might be perfect for you. Read on for all the details you need to know about this sweet breed. If you crave a teeny little kitty, then the Singapura is for you. This adorable feline is the smallest breed of domestic cats, and they don't get much bigger than 8 pounds. Singapuras are lively, fun-loving cats who crave some solid snuggle time. Overall, you can expect your Singapura to be healthy, but know that the breed is from a small gene pool, and that can sometimes be a problem. One disease that has been found in the breed is pyruvate kinase deficiency. Also known as PKD for short, this genetic disease causes a cat to be deficient of an enzyme, which leads to hemolytic anemia. However, luckily, there's a test that can tell you if your cat is affected or is a carrier of the disease. And overall, Singapuras with PKD can usually still live a normal life. Very little is known about this wee little kitty's history. We think it was brought over from Singapore, and then developed into a breed in the 1970s. The breed was fully recognized by the Cat Fanciers Association in 1988. Also, in 1991, the country of Singapore named the Singapura cat a national living treasure. Singapuras are highly active, affectionate, and inquisitive cats. And they maintain their playful spirits well into adulthood. While some of them love everyone, even strangers, others are cautious when meeting new people. Singapuras also tend to be good with dogs and children, as long as they're socialized early. However, they don't love loud noises, so they might not be the best around very loud or screaming children. Singapuras are very intelligent, and they love observing the world around them. If you're not careful, they'll try to turn your pens, keyboard, and other scattered items into their play things. Singapuras also love puzzle toys that challenge their brains, so these types of activities make a great way to keep your kitty occupied. Besides their characteristic tininess, Singapuras stand out because of their large ear and big, soulful eyes. They also have small, muscular bodies. Singaporas only come in one color. They have a short, ivy coat with brown ticking throughout. They also often have a distinctive "M" visible on their forehead. Singapuras are easy cats to take care of. Their short hair should be brushed weekly, but they rarely need a bath. However, Singapura's tend to be particularly sensitive about people touching their feet, so try to get them used to nail trimmings from an early age.